It’s here! The final instalment in the Golden Key Chronicles! And what a journey it’s been. You can find my reviews of the previous novella’s here: Rowena’s Key, Candra’s Freedom, Caedmon’s Curse. In this novella, Braedric’s Bane, Rowena and Caedmon have returned to Rowena’s time to seek help from her friends, but Caedmon’s kingdom is on the brink of war and they must return as soon as possible to save the people of Austiere. Braedric’s Bane takes us full circle, with Rowena and Caedmon landing right back where we began in Rowena’s Key in contemporary times with Rowena’s friend Oliver. I was so thrilled to catch up with Ollie again, not to mention meeting his new boyfriend John who was a total crack up. I was really pleased that this installment took us back through the armoire again, providing the opportunity to take stock of how far Rowena and Caedmon have come through the series, while also offering a little relief for our characters, before stepping back again into the world of flying creatures, princes and wizards. Divided between both sides of the armoire, this installment gives us a bit of all the best parts of the Golden Key Chronicles. We have Rowena’s fun with her friends and Caedmon attempting to navigate the modern world, as well as court intrigue, magical happenings and action packed warfare. Plus, the romance! At this point in the series, we’ve been through so much with Rowena and Caedmon that we know these two like old friends. As ever, they are equal parts loving and antagonizing to each other, pushing each other’s buttons before falling into each other’s arms. I just love this pair and their steamy, adventure romance, and this installment is no exception. Having extended over four novellas and traversing worlds, this was a difficult story to wrap up, but you’re guaranteed satisfaction in this novella, which does not disappoint at the end of a truly wonderful series. Finally, Nuest leaves us with an ending that is complete, without a cliff-hanger! Even better, it’s simply the sweetest and I will readily admit to tearing up as this story came to a close. And so I say, so long to Rowena and Caedmon, but not goodbye, for I will certainly be reading this series again. 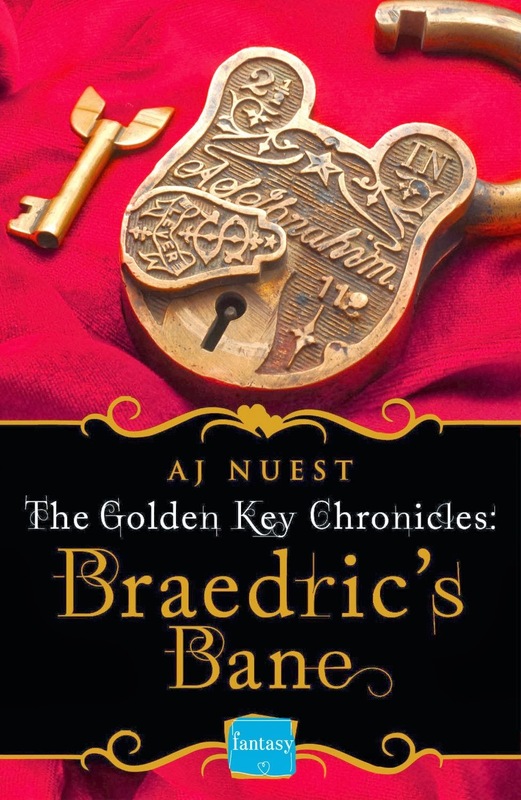 Braedric's Bane by AJ Nuest was published by Harper Impulse on February 13 2014, and is available from Amazon. Great review, Helena! I'm posting mine this Friday.